R1: With CC, ch29. Sc in the hump of the 2nd ch from the hook. 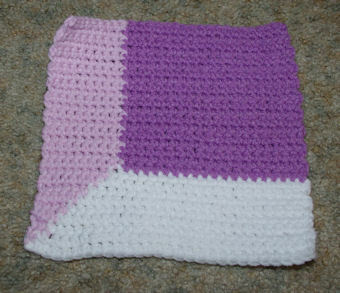 NOTE: This afghan square has no border which will allow additional squares to be assembled in order to form an attic window design .